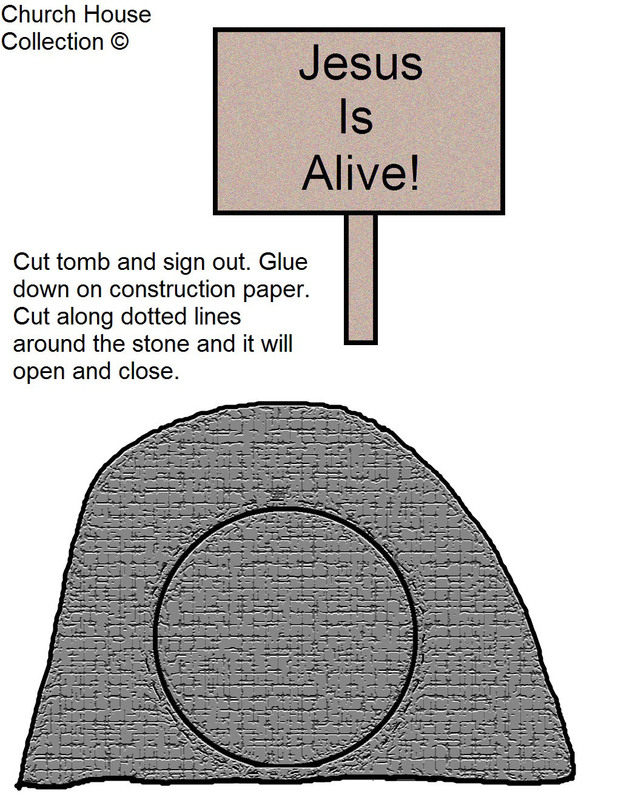 Easter Tomb "Jesus Is Alive"
Pick which template you want and print it out. 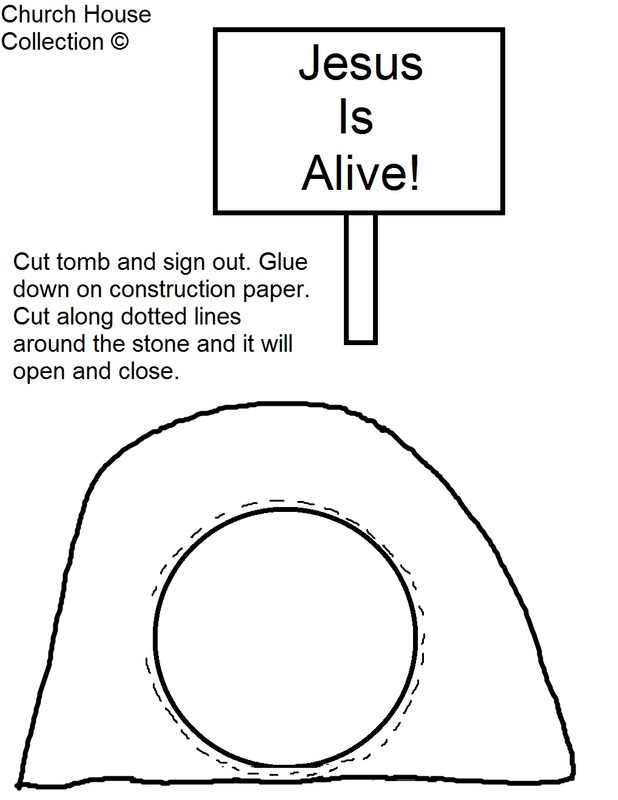 If you pick the black and white one then have the kids color it with markers or crayons and then cut the tomb and sign out. 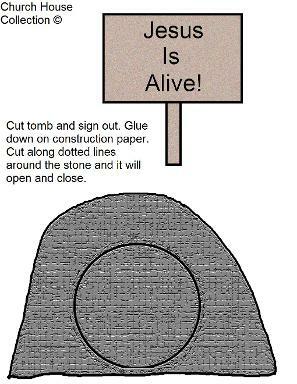 Have them tape or glue down on colored construction paper.